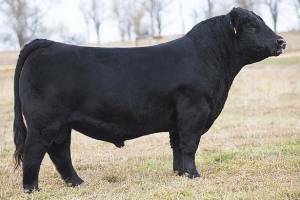 Profit Maker was the lead bull in Vogler's 2017 NWSS Res. Grand Champion Pen of Simmental Bulls. 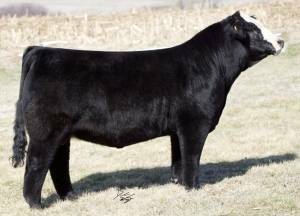 He topped their sale, selling to Rust Mountain View, ND, and is an exciting blaze faced Profit son out of the legendary BF Miss Crysteel Tango donor, who has been lighting it up! 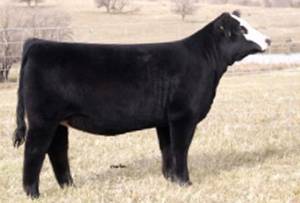 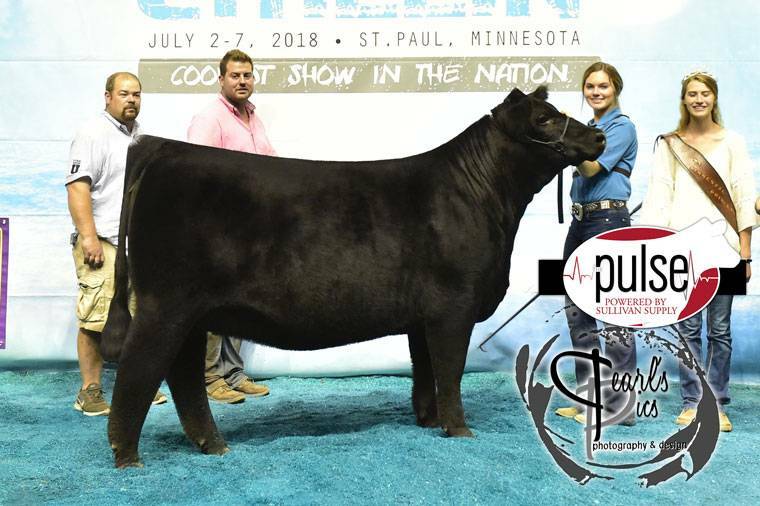 Crysteel Tango is a Steel Force out of a full sister to Pays to Believe's dam and she is the dam of Effling's American Royal Champion, Kersten's 2016 JR National 3rd Overall, and several other winners and high sellers. 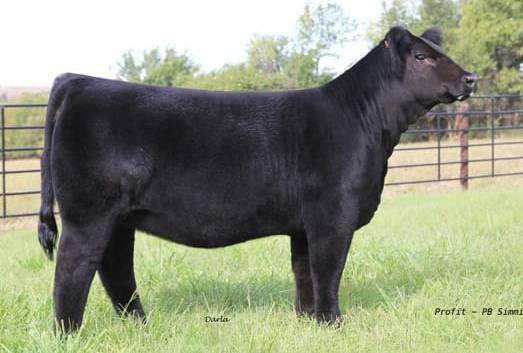 Profit Maker is one to use this year! 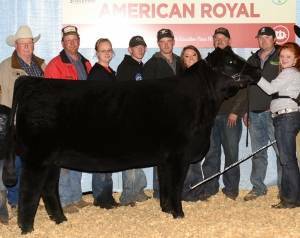 Firefly-Profit Maker's maternal sister, 2014 American Royal Champion and dam of Hartman's 2017 high selling bull!